So I had an idea for 2010. As I mentioned before, this year we're really going to focus on getting our house organized. We've hit most of the major eyesores in our 70s split, but open up almost any closet or drawer, and you'll see a mini trainwreck. Not good. In our old house,we tackled every nook & cranny and it seemed that as soon as we'd gotten everything perfect, we moved. And I don't want that to happen again. SO this year, we're going after our closets, our drawers, our fridge, our laundry room, our pantry- one space at a time- And I'm inviting you to come along! Now, for PROJECT #1: Fill mason jars with paint for touch-ups, label them, and store them in the room where they're needed with a small paint brush. Paint scratches, walls get scuffed, and it's SO EASY to do touch-ups when the paint is accesible. It only takes 5 minutes! The big hassle is finding the paint & getting out the can & the brush and taking it to the right room. Eliminate the hassle, and it's really no big deal. Today I did Project #1 and it only took 15 minutes- most of it spent cleaning out out old jelly from the jar. I also attached the paint brush with a ribbon so it will always be with the paint. I hope some of you will join me on a few of these projects, and just think how much more organized & beautiful our homes will be after 50 weeks of baby steps! ps- Thank you SO much to Joni of Cote de Texas for including a renovation of ours in her post "The Top 10 Best Renovations of 2009"!!! It was such an awesome surprise to be listed with such a talented group of bloggers!! Check it out here. UPDATE: I'm getting some awesome pics from reader!! :) Keep 'em coming!! So simple, so clever, so doable! I love this!!!! I love to be organized, I can't function other wise. Your plan is great, it will inspire many. Fortunately I have been through the process earlier and I love finding everything the moment I need it. My new year's rule: to get rid of things that I haven't used the last 2 years. This is such a wonderful idea. Both the weekly organizational get together as well as the paint kits. I love your idea for 2010!! Getting organized is one of my most favorite things to do...I mean Container Store is a store I could seriously live in :) I'm actually making a list of things I need there for my new table. I cant wait to see what you have in store for 2010- Happy New Year!!! I absolutely love organization!!! It's something I work on and think about almost as much as design. My two most neglected spaces are the basement utility room and our garage...so if you have any tricks up your super creative sleeve...do share! This sounds like a super fun series-great idea. Love this idea! We have a lot of unorganized spaces too or just little projects that we haven't gotten to yet, so I would love to join in! What??? I love this idea so much!!!! Thank you and I so look forward to many more! great idea!! i have a few projects i am working on..V E R Y limited budget so not sure how great they will be..but i'll send em! Joni has it right! We've all enjoyed every single project you've undertaken this year! The entryway especially is a knock out - and I do love a gallery wall. Congrats on the newest family member! Great idea Lauren. I'm wondering if the paint will dry in the mason jars? Looking forward to the next 50 weeks of organization! This is a really, really great idea! I can't wait to join in. We hauled out TONS of junk from a small lower attic in our house this weekend (it's off our hall and has some great potential for a guest space) and moved everything to our upper level attic space. I'm so excited to get my home organized this year-- a project a week is just about my speed. I think my first 'baby step' needs to be labeling the big cans of paint so I know which belongs where. Your ribbon on the brush is super-cute. Great idea. I'm normally pretty organized but also constantly re-organizing to make it better. No one seems to have a perfect storage space. Love the paint idea!! I'm so there with you on this. We spent the day cleaning out "junk drawers" and reorganizing the pantry. I love the idea to put the paint in the room it goes to- so much easier for touch ups! such a great idea, excited to follow along! We have started organizing as well. Cant wait to link up! Great idea! I can't wait to join in, our house is in desperate need of organization. We've SLOWLY been renovating it since we moved in over 3 years ago. We are not even close to done and have a ton of unfinished projects. I'd like to get organized while I'm still on maternity leave so I have more time to spend with my girl when I go back to work. I absolutely love your style and what you have done to your home! Hi! Happy New Year! Your baby is just GORGEOUS! I wish your family the best that 2010 has to offer! P.S. Do you mind me asking who makes that gorgeous black and white china plate you had as a perfect New Year Eve's dinner setting? I am in LOVE with it! Thank you so much! I love this idea! I think you should feature the functional as well as the pretty ... because well-designed homes have to be functional! I've done the paint trick myself, only I keep them all in the (easily accessible) laundry room. I used a Qwikie Paint jar thing that I bought, but I LOVE the mason jars! I spent the last two weeks doing exactly this - now, my space is tiny compared to most of you I'm sure - just a condo and 3 (now 1!) storage unit, but I can confidently say I now know every single thing I own. Every. Single. Thing. SO LIBERATING!!!! But, from one org freak to all the rest of you - there is a downside: what in the world do I do now?!?!!?! I'm with you all the way. I just cleaned out the girl's closets. Sad to see the baby stuff go but after baby #2 our house shrank. Great idea about the paint. I'm doing this for sure. Best. Idea. Ever. One of my resolutions was to purge/organize the house, and it will be so much easier to stay on track with other people! I just love your enthusiasm and "get-up-and-do-it" attitude! You're 10steps ahead of the crowd. Lauren, you are so organized - I cannot believe you just had a baby and are thinking about the house. That tells me you must be very comfortable with the baby and that you are feeling good again, both of which are awesome. Good luck with the small projects, but do get some rest when you need it!! 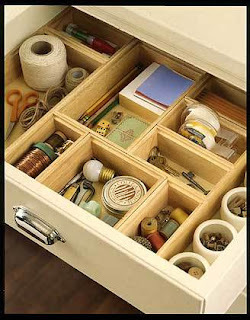 Can't wait to get some ideas from you - I have so many of those small spaces that need organizing. How are you doing all of this with a brand new baby and a tot??!? What am I'm saying your personal home designs have been spectacular this year. You ARE amazing! I've been thinking the same thoughts as you...and I'm almost ready to post about it! Still in here in our Atlanta place and dread going back to our limited-closet-space beach house...so much organizing and purging to do! What a great idea! I'll definitely join you on some of the projects! And congrats again with your little guy, he's SO adorable!!! I know what I'll be working on this week! Why did I not think to put the paint in mason jars? I'm constantly weeding through the paint and wondering what to do with that little bit of paint at the bottom of the gallon. I do keep them for touch ups, but LOVE your idea. I'll send photos if possible ;). Great idea. I know we definitely need to be more organized around here. I look forward to seeing what all ideas you have to share as I am always needing inspiration! 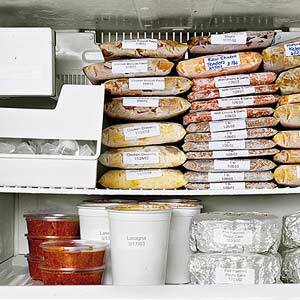 I love your idea about using our organizational skills. 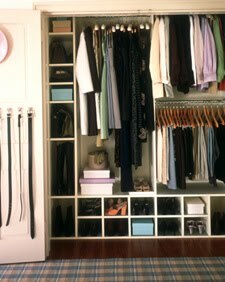 I did a post recently when I took down Xmas about some of my closets. I thought my before and after shots were good but my grandaughter chastized me so maybe I should re-think it and do more work on the closets. I am like you. I don't know how to use the blinky thing or how to put it on my blog so I miss out on all the contests, before and afters, etc. Hey Lauran, Im new to your blog and love your style! I actually have a question about your dining room "tapestry" Where did you find that image, Im interested in images that I can enlarge and transfer to canvas possibly, but not sure where to look? any ideas? Happy new year and congrats on your newest lil one! I am so in need of a massive dose of organization. I wish I had your stamina and positive go-get-em attitude. My closets and drawers are a maxi trainwreck! that's what i'm doing this year...it'll be nice to be able to open up a closet or cupboard without having everything falling on top of me. Ok, that's being a little dramatic. But seriously, these 1950's house have postage size closets. What do people WEAR in those days!! the mason jars are a great idea. it would open up an entire half shelf if I didn't have fifteen mostly-empty gallon-sized paint cans sitting around! I love the mason jar idea! I was just thinking this weekend about what I could do with all of our paint cans. Lauren, only you would find a fabulous white ribbon to tie to your paint jars! Congratulations on being mentioned in the top 10! Love the idea to put paint in mason jars for touch ups. Too easy! I'm excited to be a part of this and get ideas on organization from everyone! Love the idea of putting the paint in mason jars. Love the idea of the paint in jars! A few months ago, I touched up the hall with the color for the bathroom. Ooopsie! Greta idea about the paint. Can't wait to see all the organization ideas! Amen. I'm getting uber-organized in January because there's big (ish) changes coming to my life in Feb. Time to get simplified! You will have to stop by too - listed your post on your toddler's rooms as one of my favs in 2009. LOVE this idea! And I love the series idea! Bold! I am ready! With so many curious and artistic little ones I thing i will pass on the first one. Congrats on your little man!!! He's gorgeous. Your ideas, realness and enthusiasm inspire me each time I "check in". Looking forward so very much to seeing your organising ideas and making some progress with organising my stuff (just purchased some drawer dividers so there's my first task on the list!) Cheers and thank you for all the effort and time you put into your lovely blog, it's wonderful. Oh, please show the ugly pics too! I need visual instruction. Count me in too - sounds like a great idea! Love your idea of breaking this down to weekly tasks -- I'm IN!!! I'm looking forward to the weekly inspiration and the built-in accountability for me to tackle my own organizational needs! I'm a new reader to your blog and absolutely LOVE it! I'm going to be a new mom in April and so, my New Year's Resolution was to get organized...I figured I need to be organized for this baby boy at the very least, if not for my own sanity. :) Thanks for the inspiration and encouragement! Keep 'em coming! And when I get around to it, I'll send you pics of my own organization updates! Wow, you are in another league with your "organizing"......I would NEVER have thought to do that!!! This is a great idea! Every January I vow to get organized. I considered hiring a professional. You should see my garage! A 3 car garage filled with stuff. Of course, most of it is the adult children's. Either way, I would love to follow along with you and get organized for 2010!